In 2014, the Wessex Chalk Stream and Rivers Trust (WCSRT) received significant funding from the Esmée Fairbairn Foundation in support of our pioneering work on catchment-scale river improvement. The rivers benefitting in the first year were the Test, the Itchen and the Hampshire Avon. 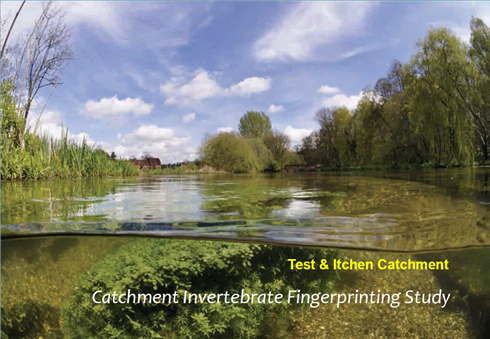 The fingerprinting research has focussed on insects and other aquatic animals that live on the river bed and react characteristically to particular types of water quality pollution and habitat damage. The intention has been to identify pollution hotspots, which will then be addressed by WCSRT and partners. The first phase of the work included analyses of long-term (up to 30 year-old) Environment Agency (EA) river quality sampling data on numbers and types of aquatic invertebrates by Dr Nick Everall of the Aquascience Consultancy . These samples were collected by standarised 3-minute kick-samples, which makes them comparable over the years and between rivers. Also, for each of these indices, an arrow has been added to indicate trends over time; an upwards arrow indicates a worsening effect, downwards an improving effect and level no discernible trend. For all three river catchments there are clear widespread indications of adverse impacts on invertebrate communities due to both fine sediment and phosphorus pollution. The sources of these pollutants are likely to include non-mains sewerage, riparian farmland, fish and water cress farms, sewage treatment works and other forms of catchment industry. In September 2014, we embarked on the next phase of the project to collect around 55 invertebrate samples and analyse them to species level. This new suite of samples allowed for a finer level of analysis of invertebrate communities (and correspondingly water quality), as the older EA data was largely comprised of samples identified to family or genus, rather than species level. We repeated our sampling programme in Spring 2015 to further refine our understanding of catchment water quality. Autumn and Spring sampling allowed us to include all invertebrate species that emerge at different times of the year. We are beginning to identify pollution hotspots and are formulating strategies to address these problem areas via the respective Catchment Partnerships through the Sediment Pathways project. 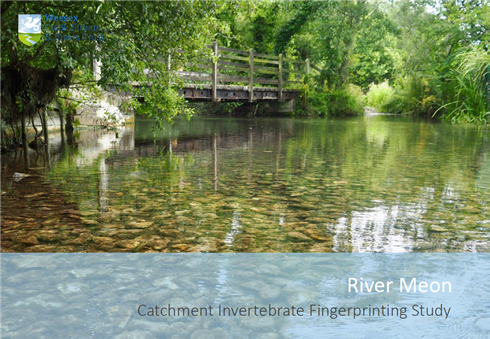 With help and support from partner organisations, WCSRT published a CIF study for the Meon catchment in February 2019. As with the previous two studies, the EA supplied historic data from their monitoring sites on the Meon. This long-term data set was analysed to provide a picture of temporal trends. In addition to the EA data, independent invertebrate samples were collected for analysis. WCSRT intends this project to continue indefinitely and will be seeking funding to enable ongoing annual or biennial sampling across our river systems. The full versions of all three CIF reports are available to download from here. 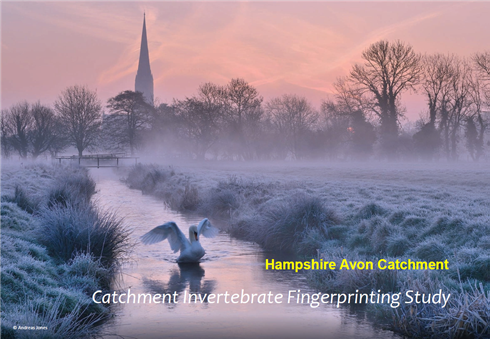 For more information please contact Andy Blincow, Test & Itchen Catchment Officer via andy@wcsrt.org.uk. WCSRT temperature loggers monitor the daily warming and cooling patterns of river water at specific sites, particularly through the summer months. Over the years the number of loggers/sites is increasing and provide a useful resource. WCSRT loggers are tested for consistency. At 15C most loggers are within 0.05C of each other and the maximum difference between two of the loggers has been 0.1C. Tests are conducted each spring and autumn (2011-2018) and performance is better than the manufacturers claimed accuracy of +/- 0.4C at 20C. Generally WCSRT loggers are set to record water temperature every 15 minutes. This period is widely adopted by other organisations using temperature loggers. The raw data files can be downloaded and WCSRT encourage the sharing of information. Limited summary results appear in our Newsletters. Files are listed separately by year, by catchment, river and named site, with start and end dates of temperature recording in the river. Monthly mean, max and min are added from 2014 onwards. For most files it is advisable not to rely on data before 1st June and after 30th Sept, as some results may represent air temperature when the loggers were put out and retrieved. * Footnotes describe known data anomalies. Please report any additional data anomalies you find to WCSRT.